Being a member of the Alliance entitles you to all the benefits doctors-in-training enjoy at the Federal AMA, AMA (NSW), and ASMOF (NSW), including industrial representation and advocacy. The Alliance is a joint initiative of ASMOF (NSW) and AMA (NSW) and provides doctors-in-training with a powerful voice in workplace and industrial matters, medico legal matters and with your professional development. With nearly 5000 members in NSW our strength lies in the dedication and commitment of our members to the provision and development of quality health services and to defending and promoting members’ industrial rights. We provide a truly democratic voice for doctors in training to work together to achieve and maintain a fair and safe workplace, better pay and improved rights at work. By becoming an Alliance member, you can add to the strength of this work. Our success depends on the support of members who share your interests and concerns. There are plenty of other great reasons to be an Alliance member, including discounts on travel, access to Union Shopper, and free accident journey insurance that covers you if you are injured on the way to or from work. If you have any queries regarding these benefits please contact AMA (NSW) Member Services on 02 9439 8822 or via email. Please note that members who pay by the month may be asked to pay for 12 months of membership before accessing these benefits, if they have not been a member for a full year. AMA (NSW) membership entitles you to discounts when you fly with Emirates in Business and Economy Class. 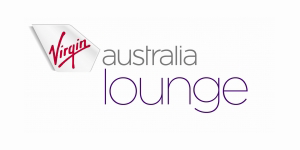 Make your flight experience more enjoyable by starting it off in the Qantas Club Lounge and save 32 per cent when you join Qantas Club with your AMA membership discount! The Lounge allows you to mix business and leisure. There are a great variety of work zones, from private meeting rooms to work stations and open-planned meeting areas, all supported with free access to wireless broadband. Free, comprehensive travel insurance for you, your spouse and dependent children when travelling together domestically or overseas under ASMOF (NSW) Corporate Travel policy. AMA (NSW) has partnered with Accor Plus. Accor Plus is Asia Pacific’s leading travel, dining & lifestyle program and provides its members access to over 600 AccorHotels and 800 restaurants with unlimited experiences across the region. Enjoy a 7% discount* from two of our car rental partners, Avis and Budget, plus earn Qantas Points on eligible rentals^! AMA members save up to US $75 on UpToDate! UpToDate is the evidence-based, medical professional authored resource doctors in training and doctors trust for reliable clinical answers. Specialist Wealth Group understands your profession, and can help you accelerate your financial future, from interns to specialists. A free, untimed, initial consultation with Hall Payne lawyers (when referred by ASMOF) and a 10% discount on Hall Payne’s standard rates if you continue to use any of its legal services. AMA (NSW) has partnered with one of Australia’s largest business energy brokers, Make It Cheaper, to help members save money on electricity. Its free energy health-check compares your bill against the competitive rates it has negotiated with its panel of retailers.